Some alumni of Orach Chaim have started to support the school, but only at a low level, said Mr. Gilgur. Few of them are capable of making large gifts, he observed. Most graduates attend local universities or colleges, Mr. Gilgur said; very few of them expressed any interest in attending a yeshiva, and their current interest in Orach Chaim focuses on the secular curriculum, not the religious studies component. 57. 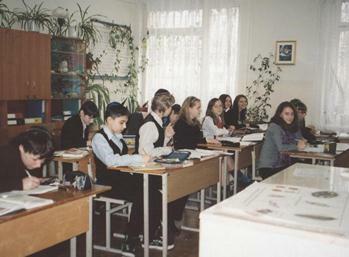 The Simcha-Chabad Jewish Academy was established in 1992 by Berel Karasik, then a Chabad-associated local leader in Kyiv. The two-building institution is located in the Dniprovskiy district of the city, on the east bank of the Dnipr River. Simcha is affiliated with Tsirei Chabad (Young Chabad), an Israel-based faction of the Chabad movement. The school receives no financial assistance from Ohr Avner, the educational arm of the Chabad-controlled Federation of Jewish Communities. The writer spoke with Rabbi Mordechai Levenhartz, director of Tsirei Chabad programs in Ukraine, and his wife Devorah, who is a teacher at Simcha. Rabbi Levenhartz began the discussion by thanking the Jewish Federation of Metro-politan Chicago for its gift enabling the school to install a security fence around school property. He added that United Jewish Community of Ukraine, an indigenous umbrella body, also had been helpful, purchasing security cameras and financing the employment of better trained and more professional security guards. No antisemitic graffiti had been scrawled on the buildings since these measures had been implemented, said Rabbi Levenhartz. Hooligans no longer loitered in the vicinity of the school; cigarette butts and narcotics paraphernalia were no longer found on school grounds. Israelis Devorah and Rabbi Mordechai Lev-enhartz are committed to maintaining the Simcha school in the impoverished Dniprovskiy neighborhood. 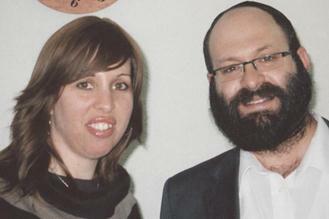 Rabbi Levenhartz and Mrs. Devorah Levenhartz said that enrollment in the school continues to decline, from 540 in 2007-2008 to 440 in 2008-2009 to 392 in 2009-2010, and 255 in 2010-2011. However, the preschool census has risen somewhat, from 72 in 2009-2010 to 80 youngsters in 2010-2011. All pupils are Jewish according to the Law of Return, that is, they have at least one Jewish grandparent. However, said Rabbi and Mrs. Levenhartz, more children in the preschool and lower grades are halachically Jewish because the school started to check family documents more carefully about five years ago. They had noticed, they continued, that some children seemed to be entering Simcha under false pretenses, their parents claiming Jewish ancestry when there was none. The character of the school was changing as a result. The school is a “magnet” in its generally poor neighborhood; if they were to remove all enrollment restrictions, they said “more than 700” youngsters would flood the two buildings. The preschool and grades one through four are located in one building, and grades five through 11 are in a second structure. The school has a strong Israeli atmosphere. In response to a question, Rabbi Levenhartz said that pupils come to Simcha from all over the city. Transportation is difficult. Simcha rents two large buses, each seating 55 youngsters, and five minibuses, each seating 18. Additionally, Simcha owns two 30-seat buses, which it received as a gift. Simcha has 15 working computers, all of which were received several years ago as a gift from a Kyiv-based Israeli company that closed its Ukrainian operations. The computers are old and are not connected through a network, said Rabbi Levenhartz. About 70 percent of Simcha families pay partial tuition costs, Rabbi Levenhartz responded to a question. Parents also have paid for a new playground and for some new windows. As is the case with most schools using former preschool buildings, Simcha classrooms are small and inadequate for middle and high school youngsters. The class at right is a biology class. Science laboratory facilities are very limited. United Jewish Community of Ukraine provides a small annual subsidy to Simcha. The salaries of two Judaic studies teachers are paid through the Heftzibah program of the Israeli government, but these payments are 30 percent less than they used to be because Heftzibah eliminated funding for apartment rentals, insurance, and plane tickets between Israel and Kyiv. Avi Chai provides $15,000 annually for Shabbatonim, said Rabbi Levenhartz. Rabbi Levenhartz stressed that Simcha is not just a school, but also a community. One of the buildings contains a small synagogue that has its own community rabbi. The synagogue is used every day, said Rabbi Levenhartz, and is especially active on holidays. Individuals who wish to stay over Shabbat can use synagogue-provided mattresses that are placed in classrooms. The Simcha social welfare program is coordinated with the hesed, said Rabbi Levenhartz. Food parcels are distributed to 200 homes in the neighborhood, and many of these troubled homes are visited twice weekly by Simcha volunteers. Recipients of the food parcels are encouraged to attend holiday celebrations at the Simcha synagogue and to integrate into the Simcha community. Some older men attend lessons at the synagogue in return for small payments, Rabbi Levenhartz said. In response to a question, Rabbi Levenhartz said that most Simcha graduates remain in Kyiv, attending local universities and colleges. Some also go to Israel, usually joining one or another Jewish Agency program. 58. The ORT school was established in 2000 as a lyceum, an elite secondary school with a competitive admissions policy. In common with the Simcha school (see above), the ORT lyceum occupies two separate small buildings. It is located on the east, or less prosperous, side of the Dnipr River in a generally unattractive area. Yuri Kinkov, the veteran principal of the lyceum, opened a discussion with the writer by declaring that conditions at the school are ככה-ככה, using the Hebrew expression for “so-so”. The lyceum has existed for ten years, he continued, and just completed a serious re-accreditation process. No major academic problems exist. Most teachers remain at the school from year to year. World ORT continues to support the lyceum and, through the Israeli government Heftzibah program, the lyceum has found an excellent new Israeli director of Hebrew and Jewish studies to replace the former Heftzibah teacher who returned to Israel after five years at the school. 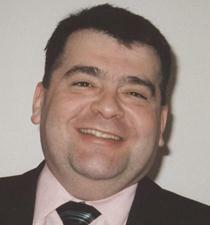 The new Heftzibah teacher, he noted, is a native of Odesa. Principal Yuri Kinkov, left, surprised the writer by using a few words of Hebrew during an interview. See pages 107-109 for a report of an interview with Rabbi Yaakov Dov Bleich. The school, which is located in an impoverished area, had been the site of severe antisemitic attacks, including arson and crude daubing on school walls. See the writer’s 2010 report, April 2010 in Ukraine, pages 58-60. A school secretary also thanked the writer, observing that she no longer was compelled to walk through a forest of drug syringes and other narcotics materials on her way into the school building every morning.